The Edo State Government has restated her desire for law abiding investors that will partner with the Godwin Obaseki-led administration in its commitment to turn the state into an industrial hub, but maintains that lawless investors have no place in the state. Special Adviser to Governor Godwin Obaseki on Media and Communication Strategy, Mr Crusoe Osagie, told journalists in Benin City on Friday, that the hostile behaviour of the management of BUA-Obu Cement towards the state government officials and elected representatives of the people was reprehensible and unbecoming of a corporate citizen with stakes in the state. He explained that Obaseki’s efforts at managing the lawlessness of BUA in the state is to prevent the mindless killings in places like Benue and elsewhere, where state governors or the appropriate authorities failed to adopt proactive measures in forestalling crises. Osagie’s statement is coming on the heels of attacks on the convoy of Governor Godwin of Obaseki and the member of the House of Representatives, Hon. Johnson Oghuma, representing Etsako Federal Constituency. Narrating his ordeal in the hands of the suspected BUA-sponsored militias, Johnson Oghuma, said that he heard that the governor was in town and he was on his way to see the governor after he got wind that the governor was at the Okuokphellagbe’s Palace. On his way, he said he observed that the atmosphere was tensed and there was a barricade that obstructed his convoy, which he avoided, but some members of his convoy were not so lucky as they were attacked by irate youths, suspected to be funded by a cement company in the area. 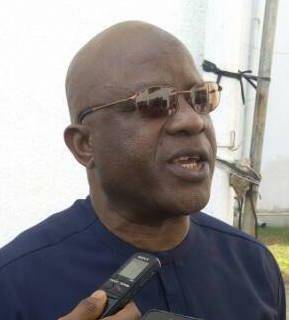 According to the Osagie: “It is disheartening to see a corporate citizen of Edo State treating officials of the state government, particularly the Governor of Edo State, with so much disdain. BUA claims that the Edo State government has no right to regulate the operational environment where it does business. The company has raised militias with which it is carrying out attacks on government officials and inciting a section of the Okpella community against the state government. “The attack on the governor’s convoy and Hon. Johnson Oghuma, the House of Representatives member representing Etsako Federal Constituency, is reprehensible. “BUA has crossed the line and the appropriate government officials are doing the needful. Edo people are peace-loving people and the route BUA has chosen to take may not guarantee the continued extension of the Edo people’s goodwill. Oghuma further said: “I wanted to refuel at the DANCO Filling Station at Okpella. The youths came around and I asked them what was happening and they told me that the governor was in town. They said he was at the Royal Highness’s Palace. The ward chairman and other party men were in the school, waiting for me. “As I was going towards the Palace, I saw a barricade on the road with fire made with wood and tyres. I asked them about the governor and they said he was at the Palace. I had to navigate a village path and came out from another end. When I got to the Palace, the governor was coming out; we exchanged pleasantries and I briefed him that I came to inspect some of my zonal intervention projects. He added that his orderlies were attacked when a fracas broke out after a boy removed the barricade to join him at a site, where he was inspecting a project he was executing for his people. He said a police officer attached to his team was injured. He said, “When I was at the site, a Toyota Corolla car drove in and a man inside was calling a boy, who was said to have removed the barricade blocking the governor’s convoy. He asked his brother to enter the car that some people were coming to kill him. Meanwhile, I am sure the elder brother got the wind that those that erected the barricade saw that it was his younger brother that removed the barricade. The younger was in the school I was inspecting. “The boy jumped into the Corolla car and left. No sooner had he left, I saw a pickup load of thugs armed with cutlasses and dangerous weapons. They came into the arena. The first one threw the cutlass and I dived. I had to quickly run for safety. As I was running, I saw a pick up from the divisional police headquarters. He said that he reported the attack to the Police. The post Edo wants law abiding, not lawless investors – Obaseki’s Aide appeared first on Vanguard News.